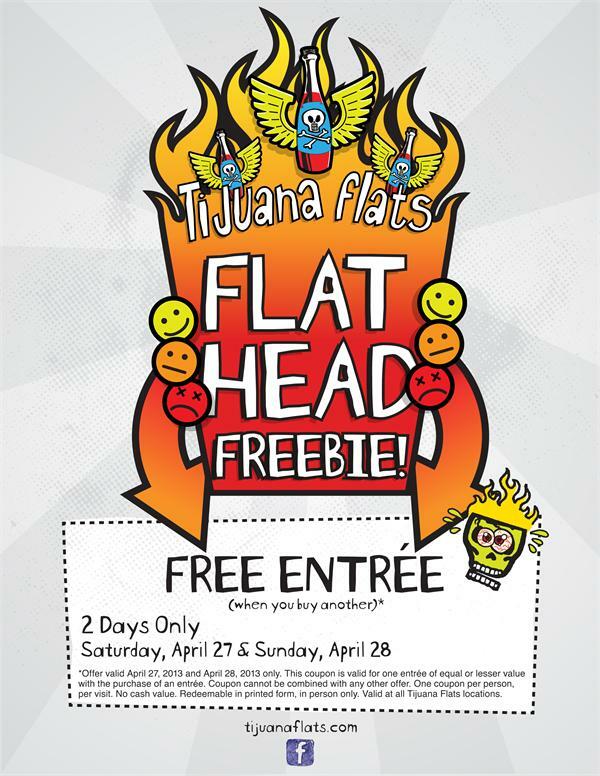 Woo hoo, Tijuana Flats will be offering another Buy One Get One FREE entree this weekend! Just print this Tijuana Flats coupon to use April 27 – 28, 2013. Print your Tijuana Flats coupon.